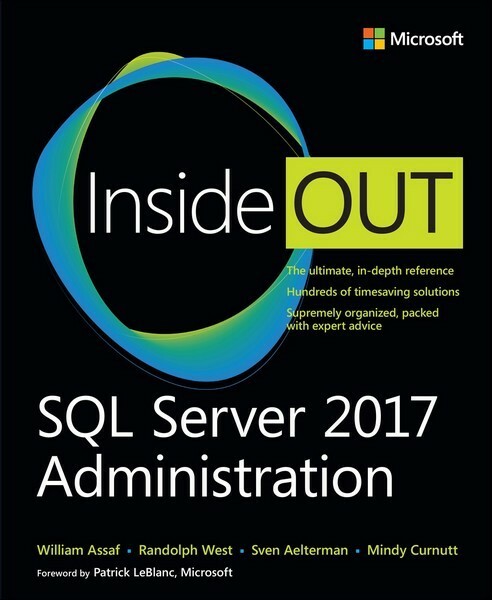 Dive into SQL Server 2017 administration and really put your SQL Server DBA expertise to work. This supremely organized reference packs hundreds of timesaving solutions, tips, and workarounds all you need to plan, implement, manage, and secure SQL Server 2017 in any production environment: on-premises, cloud, or hybrid. Four SQL Server experts offer a complete tour of DBA capabilities available in SQL Server 2017 Database Engine, SQL Server Data Tools, SQL Server Management Studio, and via PowerShell. Discover how experts tackle today’s essential tasks—and challenge yourself to new levels of mastery.